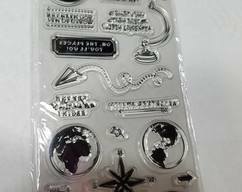 Cute Boho Stamp Set with Bicycle, Dream Catcher, Mandala, Feathers and more! Adorable bike stamp, dream catcher, mandala, feathers, flowers, tassel, and sentiments make up this 18 stamp set! Great for cards, tags, ATC's and more!! Limited Stock! 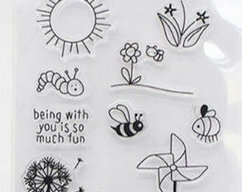 Large Boho Feather Clear Stamp Set - 11 Stamps in this set!! 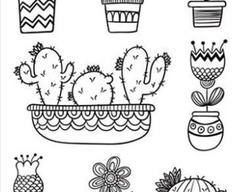 Cute Cactus Plants For Coloring Stamp Set!